PNR enquiry is common when you travel on train or railways. In India the train ticket booking is manage by IRCTC. When you book a train ticket , you get a PNR number through which you can check your travel details. But many of us don’t know How to check PNR status online or offline. Irctc PNR status can be checked in many ways, through IRCTC site, on railway helpline or you can also get train PNR status by SMS on your mobile. PNR full form is Passenger Name Record, it is basically a record in a database of Computer Reservation System (CRS), which carry all the details of passengers or group of passengers traveling together. When you book a ticket, whether you travel by BUS, Train or Flight , a PNR number is provided to traveler. So by a PNR you can check all your travel details. Indian Railway issued a 10 digit PNR number when someone books rail ticket, you can look at top left corner for PNR number on your ticket. As i told earlier there are three methods to check PNR status, you can do pnr status inquiry by SMS, call or online. Lets see the methods to know PNR status. Basically main motive to check rail PNR status is to know whether the seat is confirmed on not. If you have booked ticket online, then you can check your ticket confirmation by login into irctc account. The easiest method to search PNR status is online. You just need your 10 digit PNR number for it. Now enter your 10 digit PNR number here. Now click on Get Status button. Now it will show you all details like passenger name, seat confirm or not etc. You can also do railway pnr enquiry by SMS. To get PNR status SMS on your mobile, just send your “PNR Number ” to 5888 or 57886 or 5676747. Like if your PNR number is 8455484544, simply type this in a message and send it to above numbers. In few minutes you will receive a irctc pnr status with passenger name and other details of your booking and your seat confirmation status. 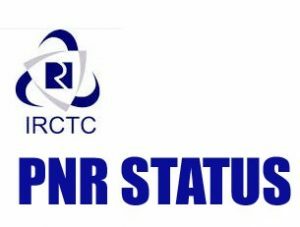 PNR status check for railway can also be done through a call. Indian railway has an helpline number with automatic voice response. With this helpline number you can easily check PNR number status of your rail ticket. To know your PNR no status simply dial 139 from your landlines or mobile number. Then follow the instructions in the voice response. When we do PNR enquiry, we receive certain codes with different meaning. If you receive CNF in your PNR status then this means your seat is confirmed. Let’s look the meaning of other PNR status codes. RELEASED Ticket : Not Cancelled but Alternative Accommodation Provided. That’s so easy to find IRCTC PNR status with the above methods, now anyone can do PNR enquiry and get to know whether his/her seat is confirmed or not. If you still have any problem in PNR status checking, just comment your PNR number and mobile number here, we will send you your PNR status on Whatsapp.